We love using cool, ocean-like eye shadow hues for the spring and summer months to give a bold and unexpected pop of color. 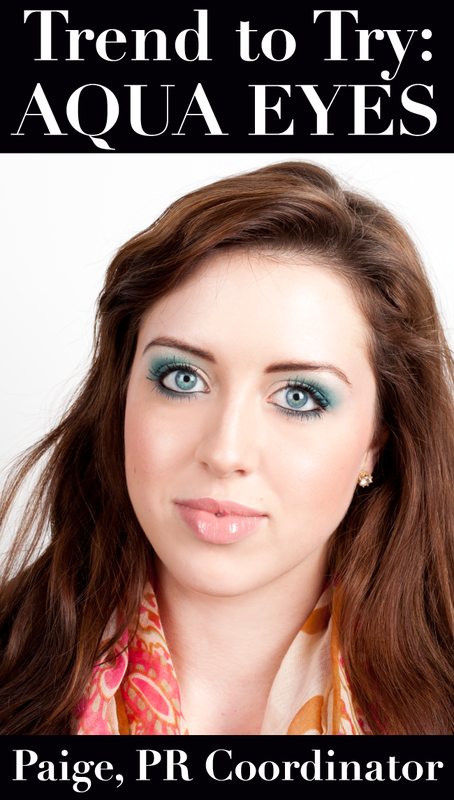 Today we’re showing you how to wake up your makeup with this step-by-step ‘under the sea’ inspired look using the new and limited edition Paris Makeup Palette! About the model... Paige is our PR Coordinator! She has worked at Sigma for 1 year and 7 months. An average day in the Sigma office for Paige consists of contacting various beauty editors from a wide range of magazines, blogs, websites, and other media-related outlets. Her all-time favorite Sigma products are the F80 (she says she wouldn't have strangers come up to her and say, “Oh, you’ve got such lovely skin!” without it), the Bare Palette because of it’s perfect range of neutral colors and essential to create a great smokey eye, and the new E75 and E80 brushes for grooming and filling in her eyebrows. Complete the look with 1-2 coats of black mascara. Is this a look you'd consider giving a try for summer?! IT IS AMAZING TUT. Thank you Sigma. Very pretty and do-able for us! This is a gorgeous look, and so well explained! Just tried it and I love it! How could I not, these are my favorite colors, thanks for the idea! I like it...gonna try it also!!! She has lovely eyes and loved the blues...Do u think adding a bit of warmth to the look would make her eyes pop even more....maybe a warm brown in the crease or warm brown on the lower lid? Love it! i'm gonna use it a lot this summer. It's simple but pretty and fresh! Hugs & chocolate cookies from Spain. Can't wait to get the palette and give it a try!